Today is Star Wars Day (think about the date). Regardless of my love for the Mass Effect universe, Star Trek, or the ‘Verse of Firefly, Star Wars will always have a special place in my heart. Watching Star Wars on television in the early 80’s is the earliest memory I have of experiencing science-fiction in any medium. 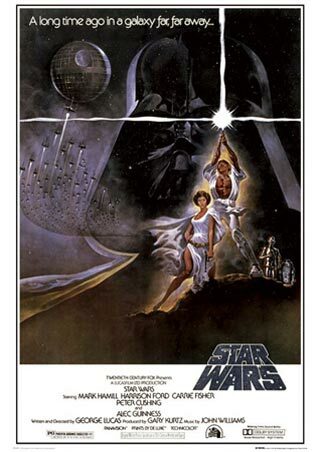 Despite all of the stuff that’s happened with the franchise over the years, and by that I mean I’ve purged from my memory anything that happened in theaters after 1983, to me it’s the original 1977 movie poster that is the iconic symbol for the series. May the Force be with you, and go check out some of the fun with wordplay on Twitter today.